Double glazing windows are windows with two panes of glass instead of one. It is also known as insulated glazing. Double glazing can also be done for doors as well. What is the use of double glazing doors and windows? The main purpose of using glazing doors and windows is to reduce the noise and heat transmission. When you are concerned and worried about any noises that are coming from the outside, we recommend that you change your windows and doors to double glazed ones. In single paned windows, the noise and heat are easily transferred between the inside and the outside. With double glazed windows, the heat will stay within your home for much longer and the cold from outside will find it harder to enter your home. That’s why kent double glazing doors have come to your rescue! Previously, people prefer single glazed windows but after facing issues with the single glazed windows, every individual is shifting to double glazed windows. By using Double Glazed panes of glass, the gap between the panes successfully reduces the transmission of both heat and sound. Talking about the qualities of the double glazed windows, it’s much better and efficient than other normal windows or doors. Those who have moved on to double glazing windows are relaxing in peace inside their comfortable and warm home. Comfort level is high:We all love to stay at home because of the peace that it provides. When we get home from our busy schedule, the last thing we want is a cold and noisy house, especially if you live on a main road. This is the reason why people are shifting more on kent double glazing windows. You surely want to enjoy your peace when you are at home. Right? You want to experience the feeling of being stress free. And if you have double glazed doors or windows, the comfort level is guaranteed to increase. The Double Glazed windows and doors will help keep the heat out in the summer, and keep your room hot during the winter. This will automatically reduce the usage of air conditioners in the summer and heaters in the winter. Reduction in electricity bill: It is very possible that the AC and heaters in your home will increase your electricity bill at the end of the month. Having double glazed windows and doors will eliminate the need of such extensive use of these devices in order to make your home comfortable which will reduce your electricity bill over time. Double glazing windows needs repairing. 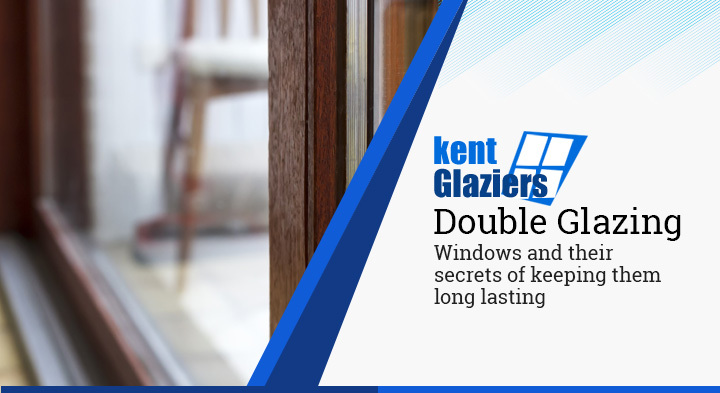 Repairing kent double glazing windows are the same as any other normal windows. There are a lot of dealers dealing with doors and windows. But how can you know which one would be better for you and will provide quality double glazed window? For the quality you are looking for, you should opt for glass repairs in kent.